The Great 8 Invitational is always one of the highlights of the outdoor track & field season. Athletes from all over middle Tennessee with the best marks in their events, regardless of classification, gather to push each other to the limit. 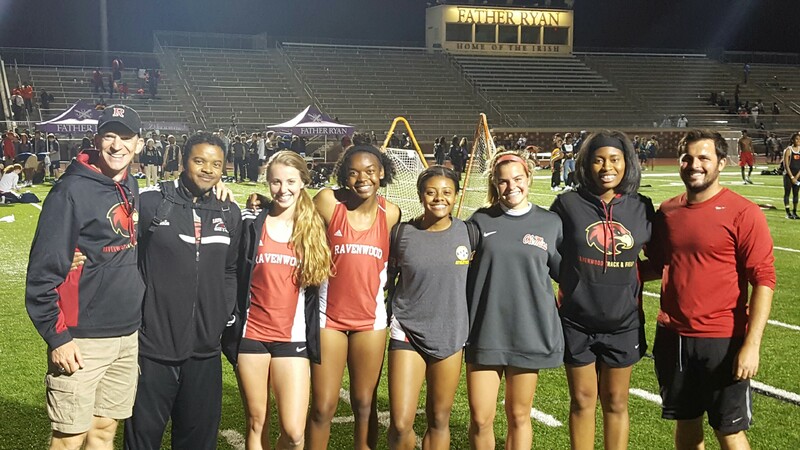 It's a great meet to compete in and set a season best, PR, or school record, and Ravenwood's Lady Raptors did plenty of all three Tuesday night at Father Ryan. Freshman Ashton Carteaux was the only field event athlete. Her 8'6" vault placed 7th. 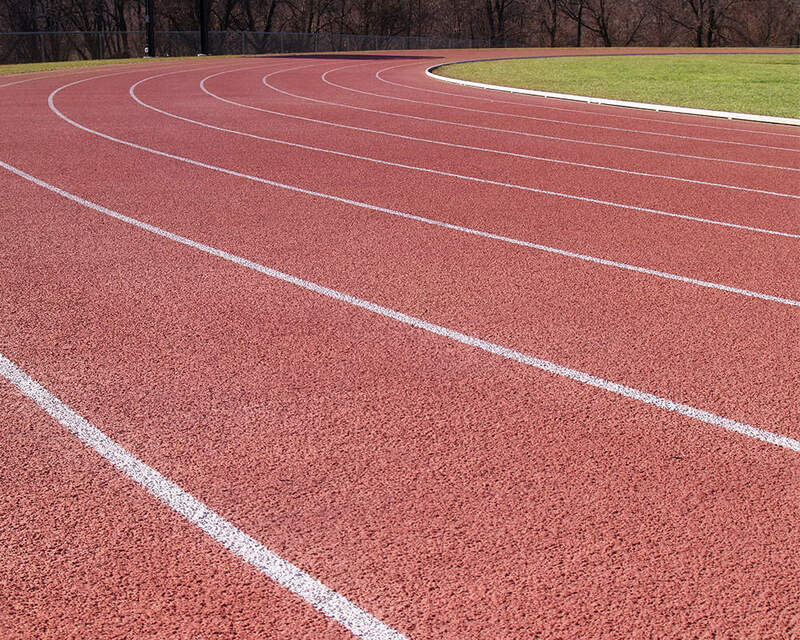 The track events got off to an inauspicious start with the 4x100m. Plagued by handoff troubles, Peyton Rositano, Caroline Groves, Kennedy McCoy, and Grace Parsons finished 8th. Annika Sleenhof was next on the track in the 1600m. Looking to break 5:00 for the first time, she went straight to the front and had an insurmountable lead a mere 600m into the race. Running alone, she pushed valiantly, winning with a new school record of 5:00.78. Riley White was the next Lady Raptor to win her event as she cruised to a 56.22 in the 400m, her best time of the season. Fellow senior Caroline Groves also ran the 400m, breaking 60 for the first time to finish with a PR of 59.83. Grace Parsons led the first 600m of the 800m and finished with a season best 2:18.87. In the 200m, Riley White was seeded 8th but stormed to a 2nd place finish with a new school record of 25.22. The 3200m was a sea of red as Lady Raptors Jamie Blaylock, Ella Kuban, and Alex Rosen took 2nd, 5th, and 6th, all with big PRs. As always, the 4x400m was the last event and it did not disappoint for Ravenwood fans. In fifth when she got the stick, third leg Grace Parson brought the Lady Raptors all the way back to a virtual tie for first, and anchor Riley White did the rest, finishing with a 56 split for a season best 3:57, the fastest time in the state this season. Ravenwood will run at the Charle Harper Relays Friday night before beginning the state meet qualification process on Monday.